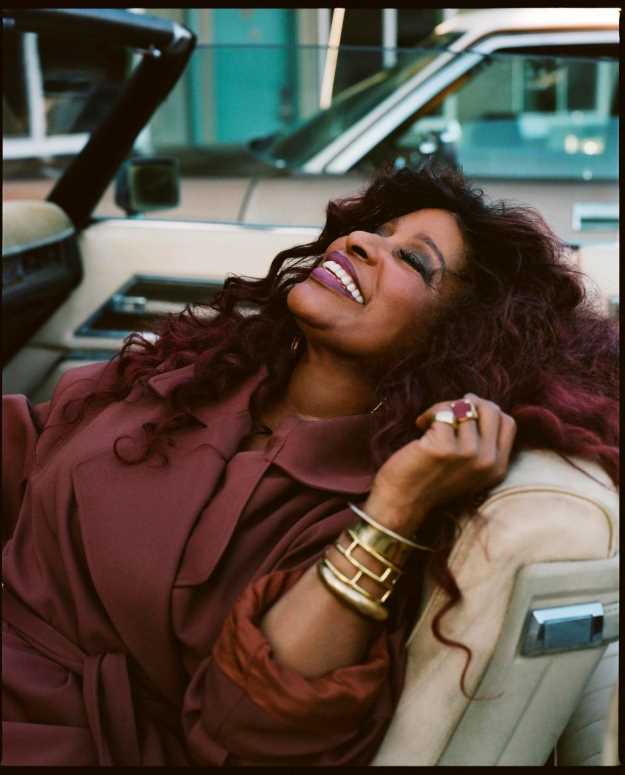 LARGER than life, filling the air with shrieking laughs and uncompromising opinions, Chaka Khan lives up to her legendary status... and then some. 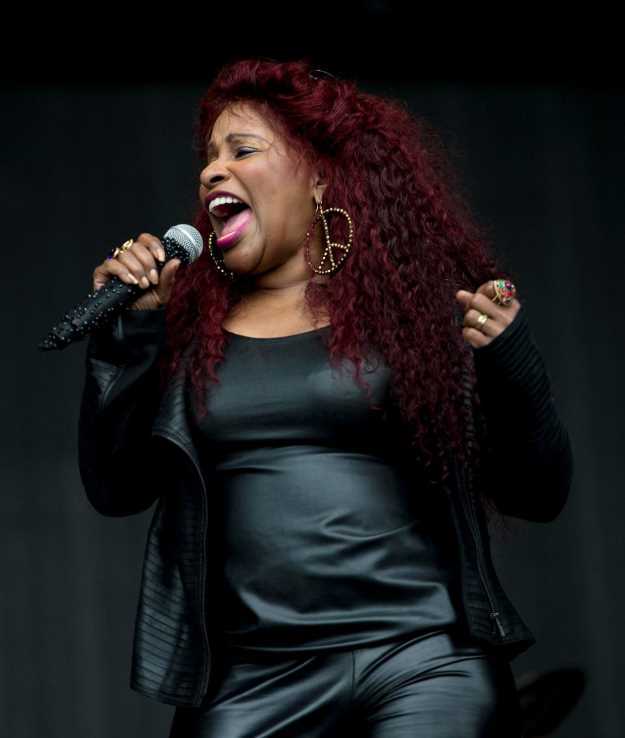 The Queen of Funk, celebrated for classics I'm Every Woman, I Feel For You and Ain't Nobody - the 1983 hit with the funk band which launched her career, Rufus - Khan is an icon, with 70million record sales to her name. It is 12 years since she released a studio album, after needing time "to get my sh*t together a little better". She says: "I've had problems to deal with. I had to get my home life and my life straight." In 2016, Khan cancelled live shows and went into rehab to battle an addiction to prescription drugs. The death of Prince - from an overdose of the opiod fentanyl - was a wake-up call. The catalyst for her new album, Hello Happiness, was meeting Switch (Dave Taylor), formerly of Major Lazer, and singer Sarah Ruba Taylor in a studio. It is her first record since 2007's Funk This. Khan says: "I listened to some of Dave and Sarah's tracks and liked what they were doing, so we started writing together. It's as simple as that. "They're good people, they know their sh*t musically and that's what makes it rock for me. I get people asking to work with me - and I guess others are scared of me. But if you're too afraid to ask, you probably don't need to work with me." Khan calls Hello Happiness a dance album that expresses her outlook on life. She says: "I've been through difficult times and you can't do anything when you're broken. "You can't fix sh*t until you fix yourself." Khan says working with Switch - who has produced music for M.I.A., Christina Aguilera and Beyonce - was important. She wants to be known as much for her music now as her legacy. Khan says: "It's important I make new music. I love it. I'm sick of singing I Feel For You (her 1984 mega-hit written by Prince). "I just die every time I sing it but I have to. So I'm happy about these new songs. They're cool." As for being the Queen of Funk, Khan - real name Yvette Stevens - doesn't take it too seriously. She says of the label: "I am honoured - thank you! "But I'm much more than that. That title is limiting to what I can do. So making a dance album shows I'm creative on another platform. There's plenty to get excited about on Hello Happiness, including the grooves of Don't Cha Know and the stripped-back Isn't That Enough. Like Sugar is dancefloor perfection. 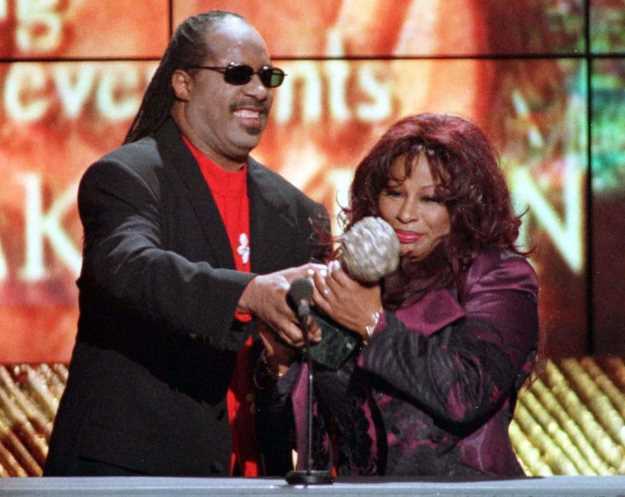 I meet the ten-times Grammy winner in a hotel in Amsterdam, where she is spending a few days doing European promotion. A straight-talking, no-nonsense interviewee, she is happy speaking about the highs and lows of a career spanning 40-plus years. Khan says: "I had so much sh*t to battle with in the Eighties and Nineties with my record label. I was a slave to the system until I got free from Warners." Like her friend Prince, who appeared in public with "Slave" written on his face, Khan refers to this period as one of her most difficult times. 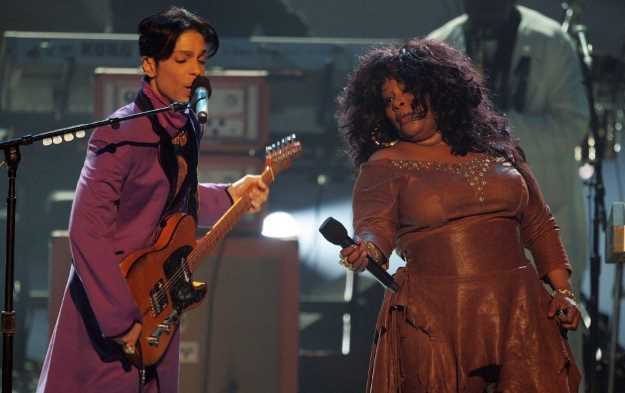 She says: "Prince and I had plans of having a label together but things didn't quite work out. "It was going to be him, myself and Miles Davis, and we were also going to do an album together. "I have no doubt we will do one in heaven." Khan also misses her friend Whitney Houston. 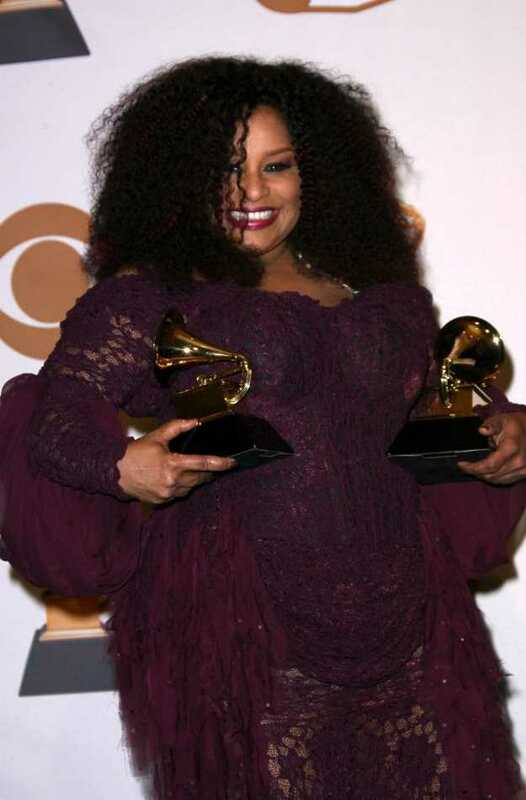 The pair became close when Houston sang background vocals as a teenager on Khan's 1978 debut album Chaka. "She would've made it with or without me, absolutely," Khan says. "Her mother was a great singer. 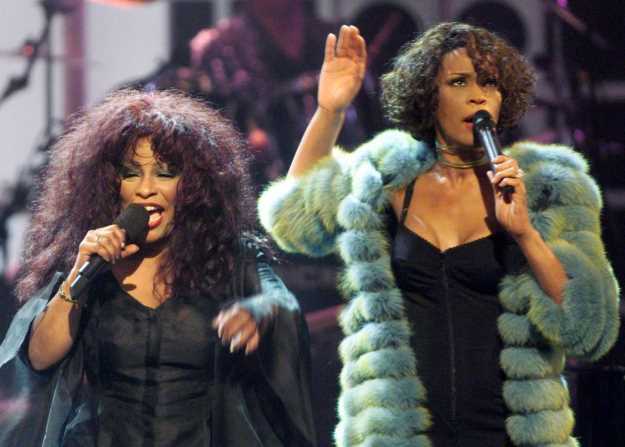 I was heartbroken when Whitney died." 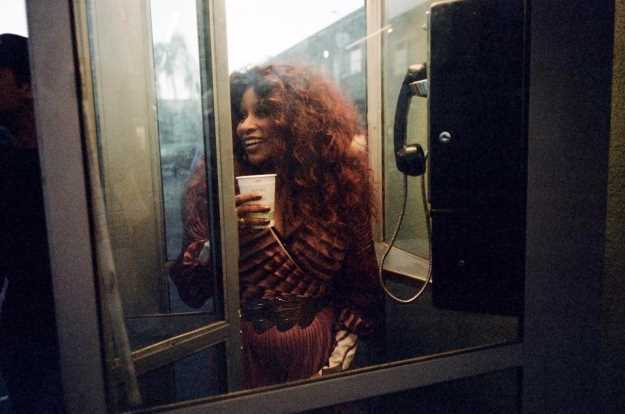 Khan says Whitney's drug addiction tore their friendship apart. 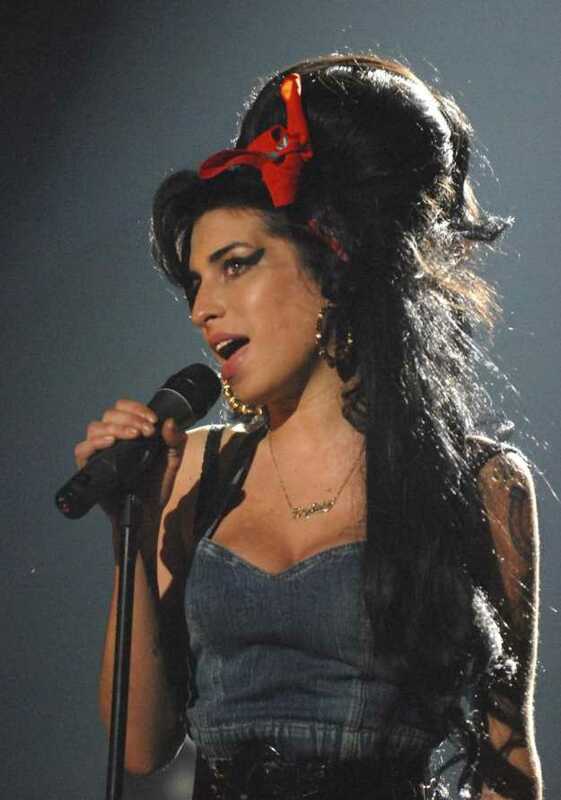 She has fond memories of Amy Winehouse, another icon who died too young. "I met Amy in Jamaica when we were both doing a festival," Khan says. "We were in a pub and she sat on my lap and hugged me so tight. I knew what she was going through." Khan has suffered with similar issues over the years and in 2016 went to rehab to battle a depÂ­endency on prescription drugs. "I know addiction and I've been there. Abso-f**king-lutely," she says. "In the Eighties I wasn't shooting up drugs but I was getting pretty f**ked up. I was living it up and my life was very painful. "There was a time when I used to cry myself to sleep every night. Every night. "But when I was in rehab a few years ago, I got through it with my faith. "I made up a prayer which I say before I go to bed and first thing when I wake up in the morning. My strong faith has helped me get through it. "At Aretha Franklin's funeral I sang a song called Goin' Up Yonder, which is about seeing my father's face again. "Death is part of life. It is existing on another plane." Khan joined Rufus in the early Seventies, when she was 18. She says: "I was the only girl in a band of guys for quite a long time and the youngest. "We had great times but when the label started using my name instead of the band's, they got really p*ssed off and we got mad at each other. "It really hurt us all. There was nothing any of us could do about it. It's just the way it happened. "I still have feelings of guilt because they were such great guys. But I had to live my life. "And I'm like that today when I feel sad about it. I am a forward-moving person." While music helped her to recover from dark times, her activism has given Khan a new focus. She is helping kids with cancer by selling hairpieces and wigs and says: "Helping these children with their self-image and confidence is very important." 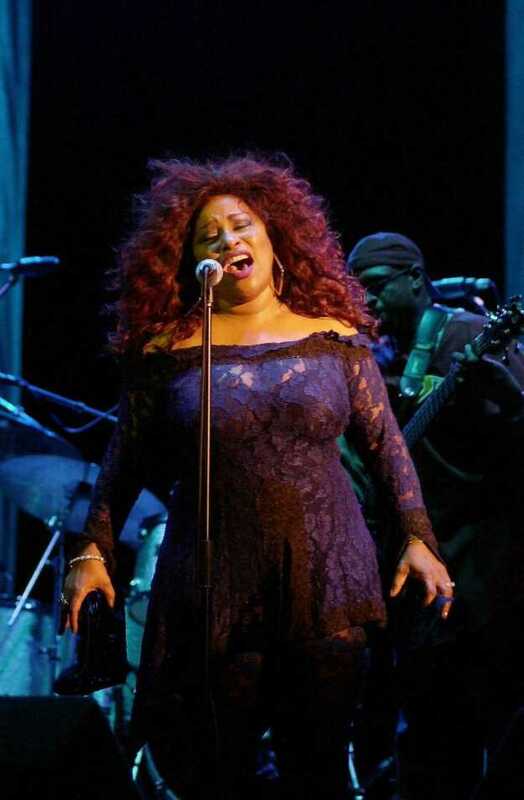 The Chaka Khan Foundation, meanwhile, works to raise awareness of autism. 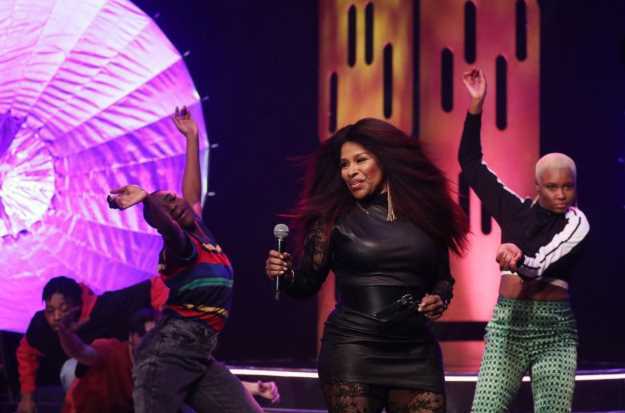 The singer's nephew Tallon was diagnosed with the condition as a toddler. "When my nephew turned two, it was as if he had changed overnight and something had come and stolen his spirit," she says. "It's about understanding their communication. "Tallon and I communicate brilliantly and I played with a 14-year-old kid who knew all of my songs, all the jazz songs, everything I did on piano. If he heard it once, he could play it right back to you. "So I just want to educate people about autism and help with after-school programmes for them." Khan says she is planning to open clubs in cities including Chicago and Detroit to help youngsters stay out of the clutches of gangs. 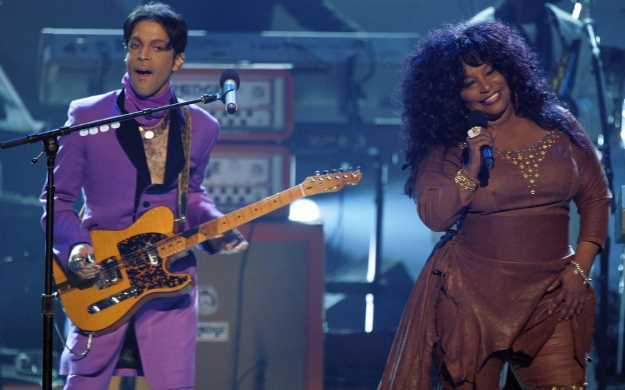 "I started working with this guy in Minneapolis who runs a neighbourhood club that Prince used to attend when he was a kid," she reveals. "It was great and I want these kids to know there are other things they can do to stay away from guns and that lifestyle. "I understand racism. I lived through some of that. I grew up in Chicago and the racism there is unbelievable. "No wonder I became a Black Panther at 13. I felt highly compelled to do that until I became the proud owner of a .38 Special police-model gun. It gave me ulcers. "Every day I had that weapon, hiding. There have to be other ways to be effective with your communication than by using a gun." Khan says it is important to speak out politically but she no longer has any trust left in the system. "No one has any control, really," she says. "I believe in voting, even though I've never seen anyone count any votes. "As for Trump...well it shows anyone can be president. Even Ronald Reagan became president." Khan is looking forward to returning to the UK to perform. She says: "I played Bestival last summer, which was great. I love festivals, so I will come back. "The most loyal following I have is from the gay and lesbian community, so I'd love to play Pride. "I love my British fans and I love hearing their stories about what my music means to them. Just don't tell me you had any babies on me! People tell me, 'I made four of my children on your music'. I don't know whether to congratulate them or not! "But as much as I love to perform, I also love my time off. 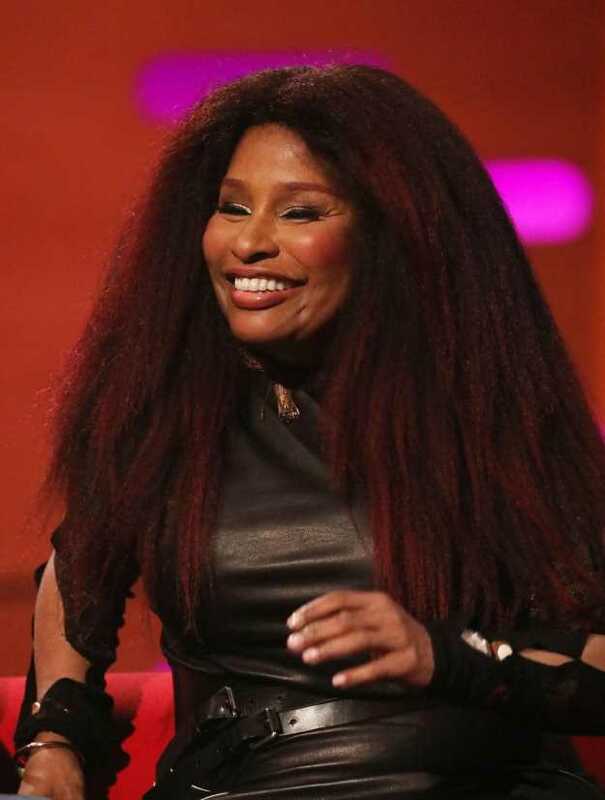 When I'm not performing I hang 'Chaka' up.